Al-Shabaab released photos from a recent cross-border attack it staged in Mandera, Kenya where it reportedly attacked police stations and the home of a local county official. The group commonly uses these public events–like the group did after a raid in Ethiopia–to counter claims that the group has lost any of its capacity to launch attacks in the region–even as 17,000+ AMISOM forces, 10,000 Somali National Army troops, and various militias scatter Somalia’s towns and villages. 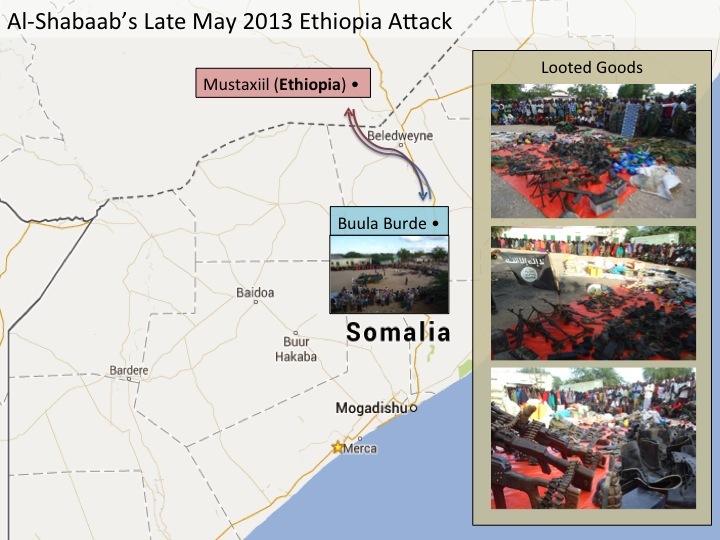 Al-Shabaab commonly uses these public events to counter claims that the group has lost any of its capacity to launch attacks in the region–including Ethiopia and most recently Djibouti. This is even as 17,000+ AMISOM forces, 10k Somali National Army troops, and various militias scatter across Somalia’s towns and villages. The displays like the most recent one–which took place in Bardhere (Gedo)–are also organized to recruit the support of younger audiences who may find the idea of cross-border raids to capture ganeema especially appealing. 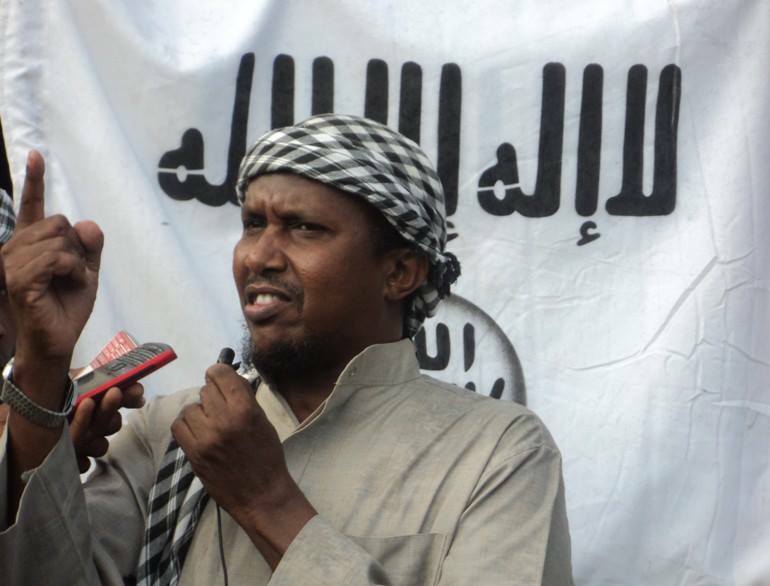 Senior al-Shabaab figure Fuad Shongole was not shy in a public speech he gave in Bardhere at the event. The one-time critic-turned-loyalist of Godane made threats against Uganda, Kenya, and most prominently the United States. Shongole was referencing Kenya’s harassment of its citizens, including mostly ethnic Somalis, and refugees in recent security operations that brought international outrage. But he was also referring to casualties that the group claims are incurred in sporadic airstrikes in Somalia. After Kenya and AMISOM claimed successful airstrikes were launched in al-Shabaab-controlled areas near Jilib, Middle Juba, al-Shabaab released photos of children it claimed were injured in the strikes. There is no way to confirm the authenticity of al-Shabaab’s account–which could be purely propaganda driven. However, the argument in itself serves as justification for more attacks on Kenya. An important point to this is that generally it has been difficult for Kenya and AMISOM to prove the efficacy of airstrikes because it has not publicly revealed photos that would demonstrate as such. Overall, al-Shabaab will continue to leverage events inside and outside of Somalia through its own and sympathetic media outlets to justify its strategy–whether it is targeting civilians, troops, or government officials.